domestic production, has been observed in several sectors. remembered by many western countries. 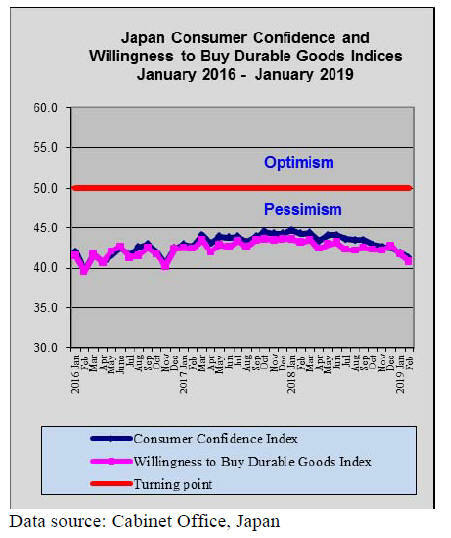 outlook for the Japanese economy. 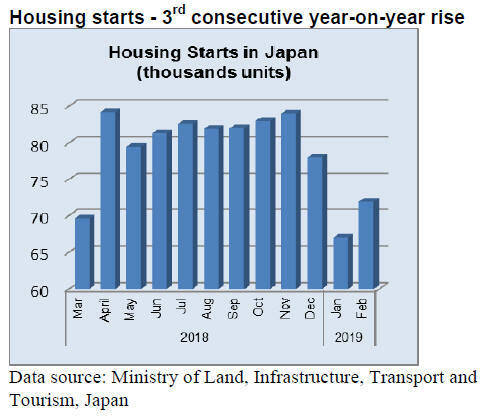 Tourism has confirmed that land prices in Japan are rising. first time in 27 years. selling into this market are seeing a decline in sales. increased in 2018 after the 3% plus rise the previous year. were over 2% down from a year earlier. 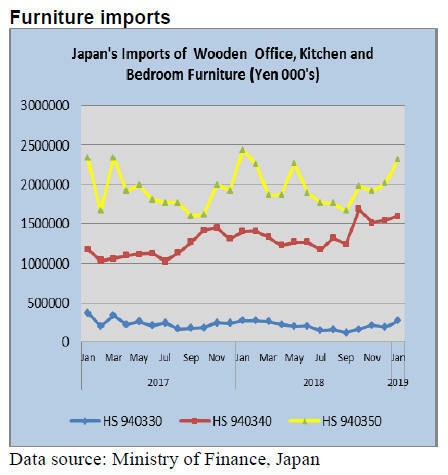 wooden office furniture imports in January. but month on month imports rose sharply. 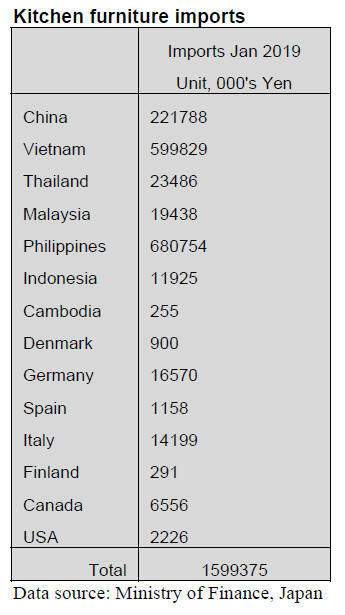 furniture imports in the first month of the year. direction to fall steadily until around September. precisely as it appears in the JLR. strong and there was not much surplus for export. import dropped to 91.3% from 92.5% in 2017.
hemlock due to tight supply of Canadian Douglas fir logs. smaller compared to old days so declining trend continues. less and red cedar was 6,312 cbms, 37.3% less. after August were much larger than usual years. and sawmills suffer poor profitability all through the year. from lumber sawn from New Zealand logs. overseas countries but the supply was unstable. 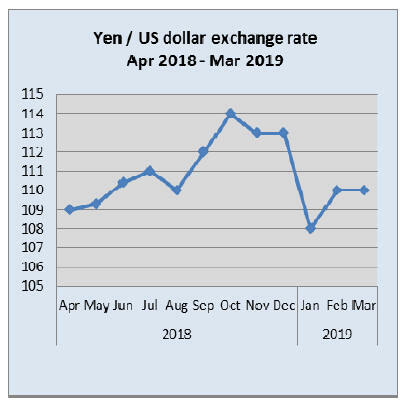 started slowing down by trade war with the U.S.A.
to increase the sales prices by about 1,000 yen per cbm. 40,526,970 square meters, 0.6% less. 11,023,980 square meters, 4.8% more. dealers from dropping the prices. 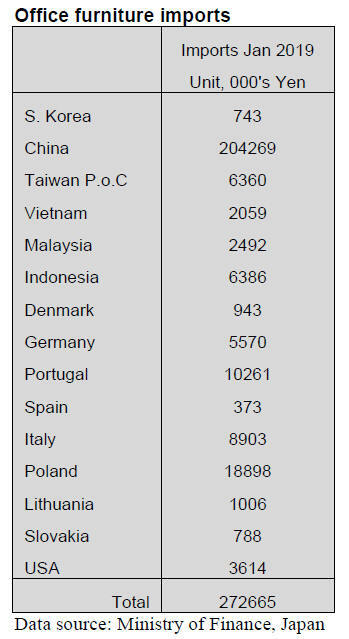 23,000 cbms less than December. This is four straight months decline of the inventories. tight and the prices stay firm. hold the prices adamantly to tighten the market. thick panel are weakening after the export prices softened. importers are not able to go after future cargoes. 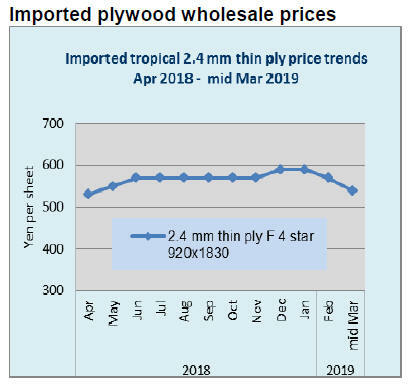 cbms, 24.2% more than 2018.
stimulated cedar log purchase in 2018.
than 2017. The volume for Taiwan P.o.C and the U.S.A.
freight and marine insurance, it is not profitable business. CopyRight (C) Global Wood Trade Network. All rights reserved.